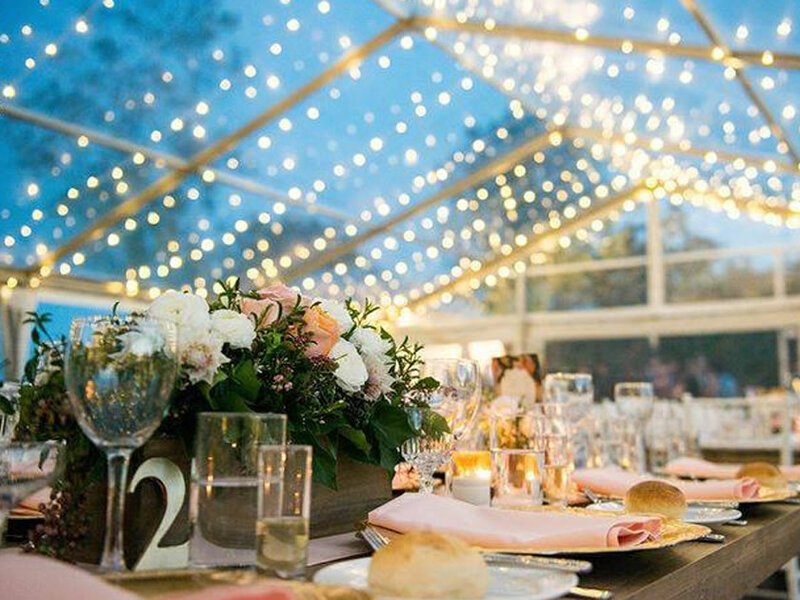 Styling your wedding with lights may not be as simple as you think! That’s why, if budget permits, you should consider engaging an event lighting specialist; someone who has access to and experience with all the latest and most beautiful lights. At Southern Light Events we have one of WA’s largest collections of event lights for hire, and many for sale. We also provide lighting design and styling, and installation services. Regardless of whether you’re a DIY event stylist, or engaging a pro, the first thing you should do is look for the natural highlights of your venue, those things that can be easily enhanced; for example, there may be some beautiful trees or gardens to showcase. Are there any structures or pieces of Art to work with? Outdoor sails, a cliff-face or a cool limestone wall? Go to your venue at night and take a good look around. See what’s missing from their existing lighting and make a list of what could be improved with some subtle or special effect lighting. Remember, you can tone down any existing harsh lights by using our theatre gels, and I promise, this will save you money! Be on the lookout for verandahs and deckings too, and pay attention to where you’ll put your dance floor – this is where you’ll be spending most of the night! Most important, think about the atmosphere you want to create for your guests, imagine it, and we’ll make it happen ~ and don’t worry, I’ll never sell you anything you don’t want or need. My work is everything and I’ll work with you every step of the way to make sure I exceed your expectations. If the thought of designing where your lighting will go and what type of lights you’ll need all feels a little overwhelming, don’t stress, that’s what Southern Light Events is for! If you’d like to throw some creative ideas around, or just get a feel for what your perfect set up will cost, I’m on call and would love to have a chat!